These koftas can be cooked on a barbecue and served with salad and raita for a refreshing summer lunch. 1. In a large bowl mix all the ingredients together. Divide the mixture into 8 equal portions. 2. Roll each portion into a sausage shape and mould around 8 wooden kebab skewers (previously soaked in water). Cover and chill for 5-10 minutes. 3. Cook under a preheated, moderate grill or a prepared barbecue on foil for 12-16 minutes turning occasionally. 4. 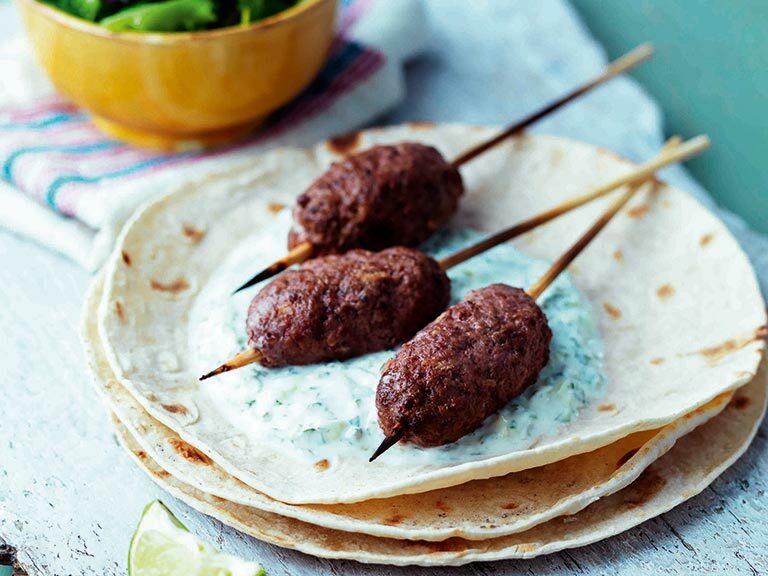 Serve the koftas with flatbreads and a salad garnish or cucumber raita. Our thanks to Simply Beef and Lamb for providing this recipe.